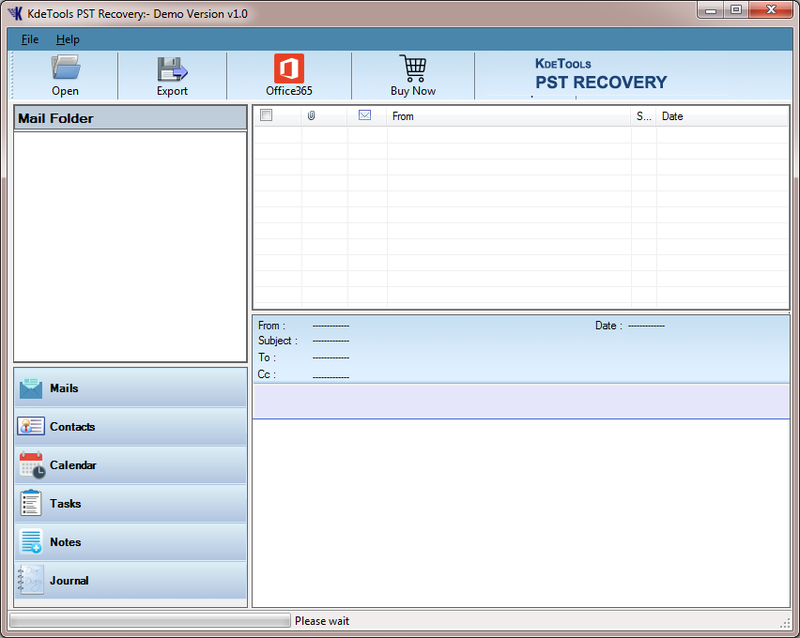 Recover and convert Exchange OST to PST file type. Convert Outlook .pst data file into multiple format. 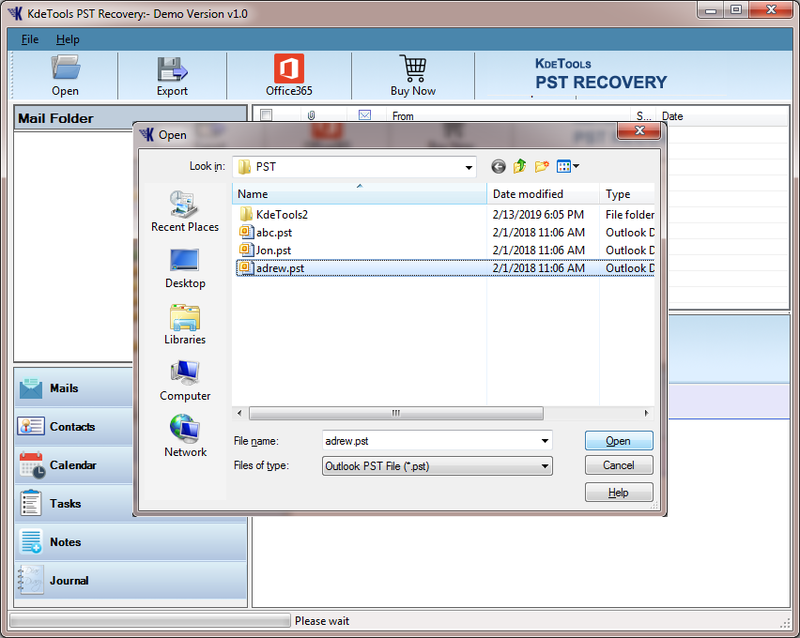 Recover and convert Exchange EDB to PST file type. Convert EML files to various file types such as PST, MBOX, etc. 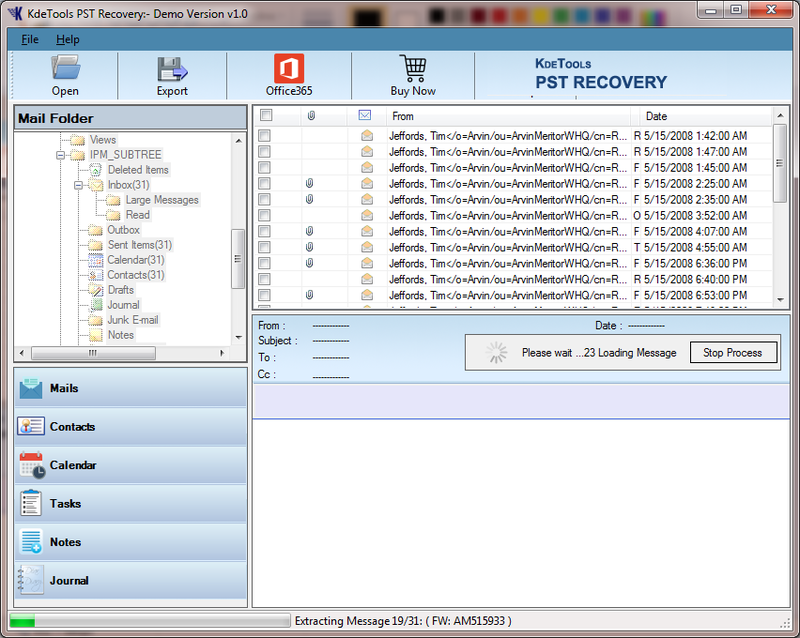 Convert Outlook PST for Thunderbird, Apple Mail, etc. 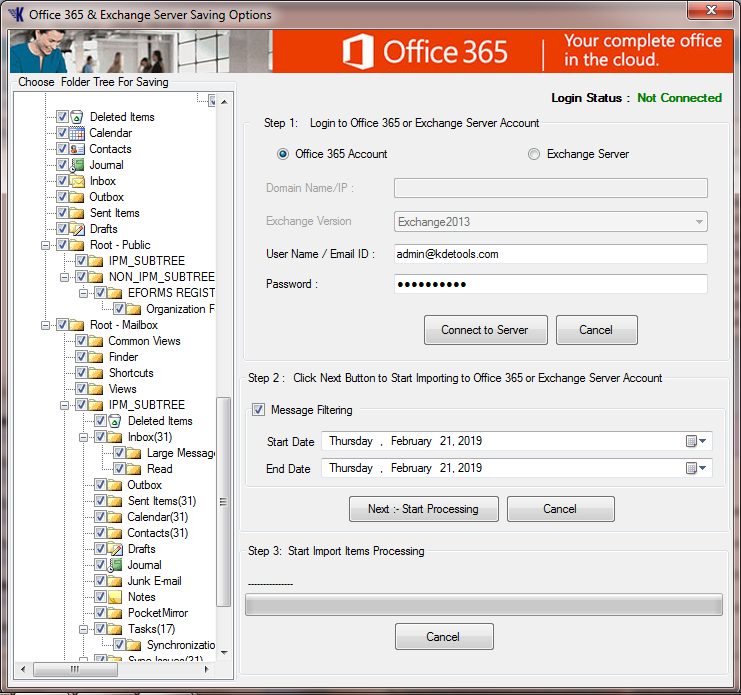 Export data directly from OST to Office 365/Live Exchange. Are you looking for other tools? Check Step by Step Procedure to Recover your Outlook PST File. 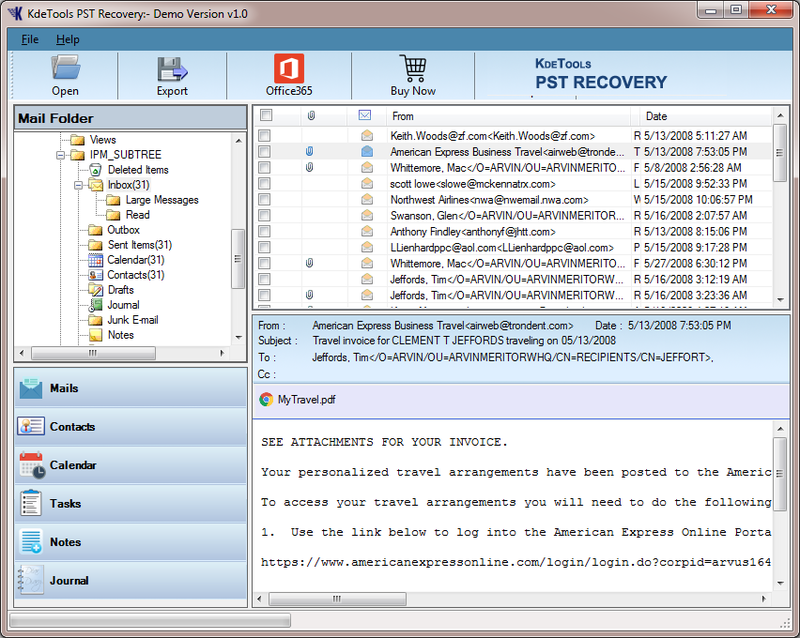 Step 1: Download and Run Outlook PST Recovery. Step 2: After clicking the open button, The particular PST file should be selected from the local path. Step 3: After selecting the Outlook PST file. The automatic process of scanning will start. 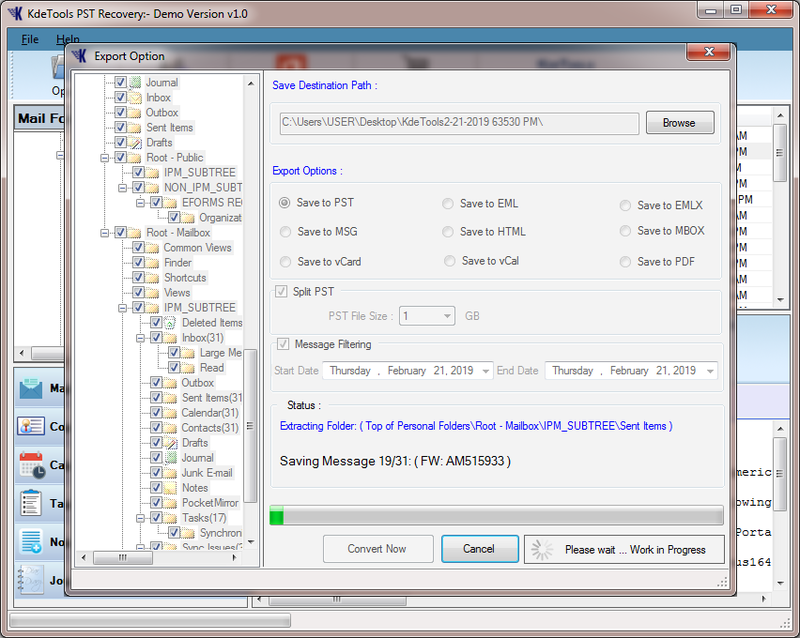 Step 4: The software provides you the preview of each and every Outlook PST items. Step 5: To find your local path click on the browse button. Click on Export choice and pick in which structure you need to save your document. Click on the Split choice to pick the size of your PST document. 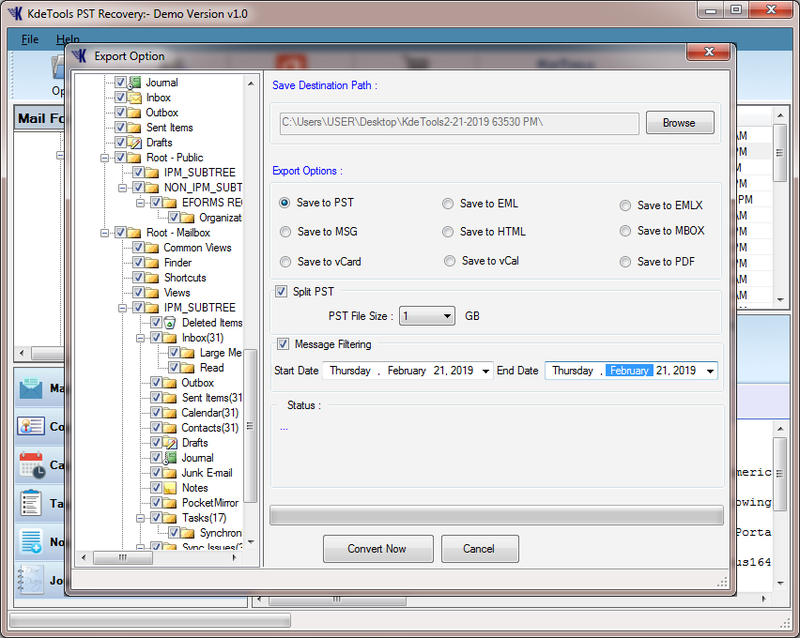 Click on the Message Filtration choice to Recover your PST document from a specific date. Step 6: To start the process of recovering click on the convert button. 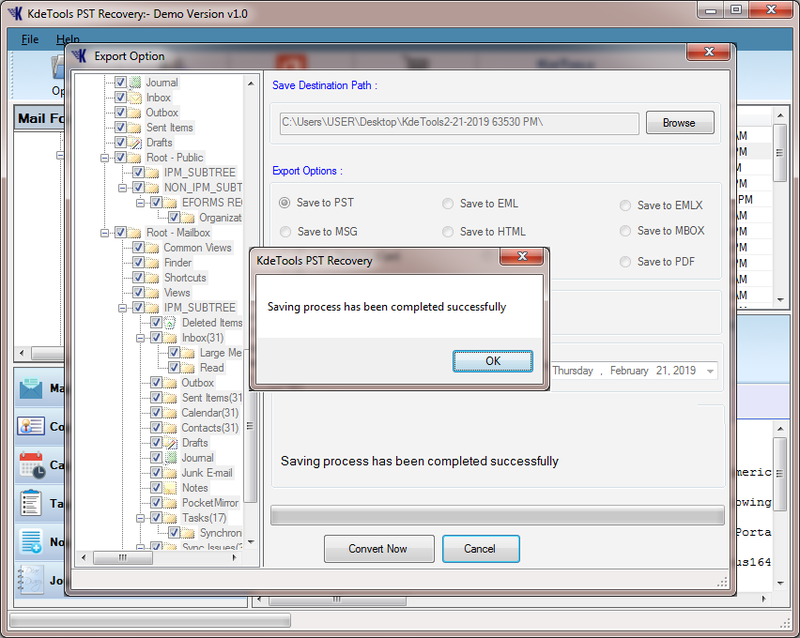 Step 7: After, the recovery process the software will take you to the path where you have saved your Outlook PST File. Step 8: For Office 365, Click on Office 365 catch from route. As a matter of course Office 365 is chosen. You simply need to enter Office 365 qualifications and after that Connects to Server and Import.